The Spanish auto maker confirmed it will add to its burgeoning SUV line-up with this stylish coupe-styled crossover, and it looks spectacular! SEAT bosses have revealed a jacked-up coupe will join the firm’s expanding model range in 2020, sitting alongside the Ateca and below the forthcoming Tarraco SUVs. The yet-to-be-named crossover will initially launch with SEAT badging, though a Cupra version is in the pipeline, too. SEAT describes the addition as a Crossover Utility Vehicle (CUV). However, speaking to journalists at SEAT's 2018 Annual Press Conference, research and development boss Dr. Matthias Rabe revealed: “Our CUV will be Leon-sized. Quite high, coupe-like and quite sporty. Personally, I think a turbo diesel will be the way to go, however, it might not even come out in a diesel due to the increased decline in diesel cars, especially in Europe, but a turbo diesel is currently in the pipeline. ”That car as a Cupra works very well, too” he added. “It fits perfectly”. The coupe SUV is likely to take much of its styling inspiration from the 20v20 concept, first revealed at the Geneva Motor Show in 2015. While that car was much larger than the Leon hatchback, we expect the CUV to inherit the 20v20’s sloping roofline and steeply raked rear screen, as well as its raised ride height and big wheels. It’ll also share similarities with the next-generation Leon hatchback, due in 2019. It’s expected to launch with a variety of tried and tested petrol and diesel engines, while hybrid versions are also likely. SEAT boss Luca de Meo hinted that the forthcoming Cupra version would be a good base for the firm’s PHEV technology, insisting plug-in was a “good option for performance cars”. However, while it was initially understood that a coupe-SUV would be the first standalone Cupra product, a difficult financial climate has forced bosses to launch the CUV as a SEAT first. 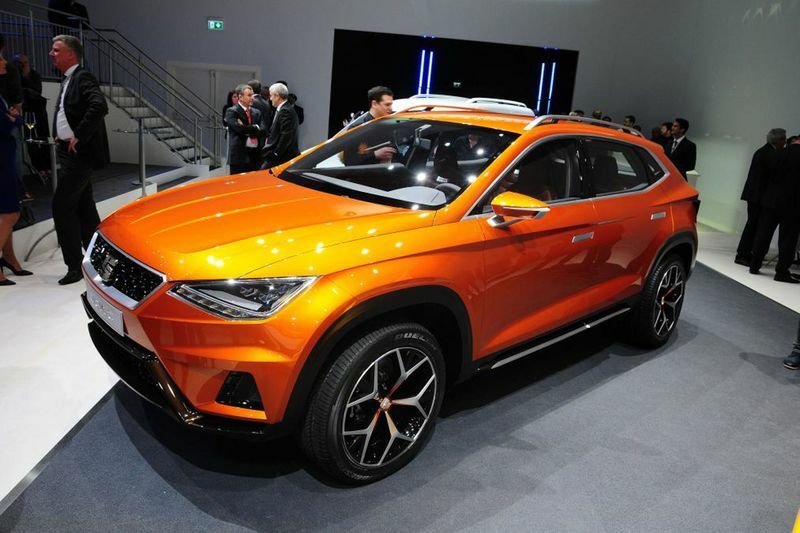 SEAT’s 20v20 concept set out SEAT’s SUV vision back in 2015 – a path that later lead to the launch of the now-popular Ateca and Arona crossover. The larger Tarraco will arrive towards the end of this year, with the CUV joining proceedings in 2020. There are quite a number of small SUV's, or should I say CUV's, to choose from nowadays. If you ask me, I think this SEAT is a jaw-droppingly gorgeous design.